One of the most-asked questions by expat guys looking to marry their Thai lady concerns the traditional dowry or ‘Sin Sod’, with many unable to come to grips with…..
With many westernners unable to come to grips with the entire concept. In fact, there are many comparisons between the former traditions in the West and the present-day dowry system in Thailand. Back in the day, it was almost compulsory for a Western man to request permission from her father to propose to his beloved. It was not considered out of place. Also remember, the higher up the social scale the pair. The more financial and social benefits were bestowed on the bride-to-be’s family. In those far-off days, young, beautiful women were regarded and ex[ected to be well-trained. To ensure stepping stones to greater riches and better social positions for their families. As with many other cultural aspects here in Thailand. The marriage of a daughter traditionally reflects similarities with the Western system. When in Thailand, do as Thailand does’ is the buzz-phrase here. Although, in the majority of marriages nowadays, the Sin Sod is returned by the parents to the newly-married couple as a wedding gift. This is done at present to help them start their lives together. Basically, Sin Sod isn’t only about the money, it’s about respect and appreciation. The charming tradition of showing commitment to the bride’s family. Who has taught and cared for their daughter from childhood to adulthood. In appreciation of the values involved with respect for the parents and their role in their daughter’s life. Both up until her marriage and beyond? It should never be, as it often was in the West, an exchange of goods. It’s considered insulting to both the bride-to-be and the family to attempt to personally negotiate the amount. However, ‘working out’ the amount with due consideration to your and your beloved’s family financial status is the correct way forward. This is done not by the groom! It is done by a close and respected friend of the groom’s family. Who is, in fact, standing up for the groom and his families good name. Similarly, as such should be a well-respected member of the local community as possible. He will come with the groom and act as a personal reference for the groom. So his talent and negotiation skills will be needed and show well on the groom. So choose well. In conclusion, is not the time to ask that friendly Tuk Tuk driver you know to help. Sin Sod, both compensate the family for the loss of their daughter work and demonstrates you’re able to take care of her. as wellas, her family when and if necessary. Reminds you of a large rock on the soon to be the bride from that handsome Doctor? 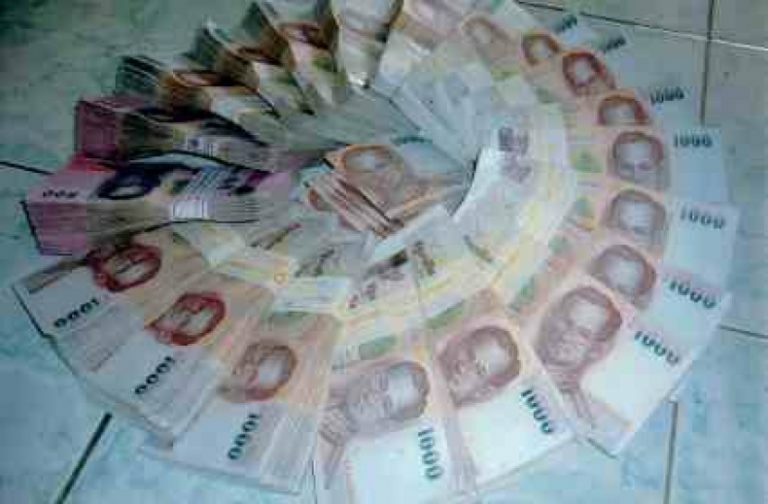 Thai families regard marriage, quite correctly, as being based on financial security and loyalty. A concept somewhat out of fashion in the West. Ideally, the groom becomes part of a tightly-knit family unit in which support goes both ways. Foreigners brought up with the concept of romantic love may be tempted to think that a dowry destroys their exotic dream. In conclusion, it is seen through the eye of Thai tradition, it’s a reinforcement of future family life, which is now rare in the West.